William F. Mangels, the Coney Island-based inventor of such early 20th century thrill rides as the Whip and the Tickler, also held the most patents on shooting gallery targets. From the early 1900s until 1969, well after other manufacturers had gone out of business, Mangels’ Coney Island shop turned out cast-iron and sheet-metal targets in the shape of birds and beasts, stars and moons, cowboys and Indians, and soldiers and torpedo boats. ATZ can’t let February go by without honoring the memory of this amusement industry innovator’s birth. 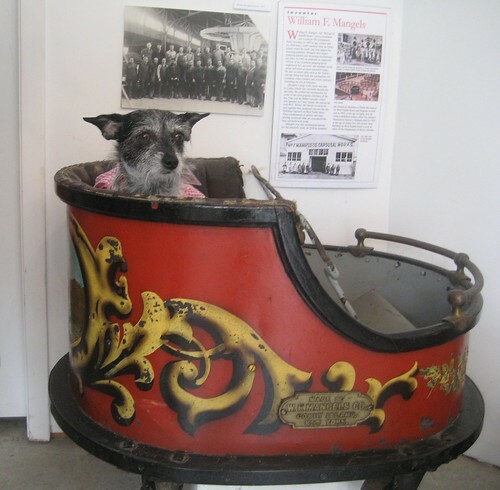 Born February 1, 1867, Mangels was best known as a developer and supplier of amusement rides and the mechanisms for carousels and roller coasters After he died on February 11, 1958 at age 92, his family carried on the business for another decade. 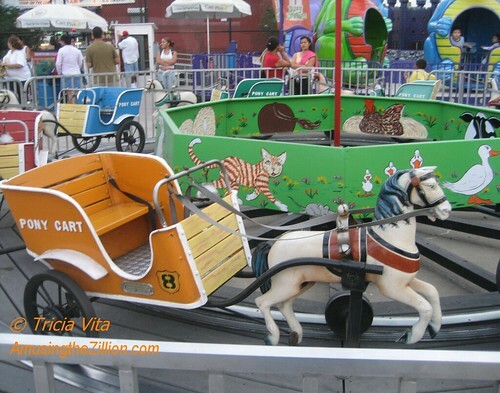 The Coney Island History Project inducted Mangels into the Coney Island Hall of Fame and some of his kiddie rides can still be enjoyed by visitors to Coney Island’s Deno’s Wonder Wheel Park. Keep an eye out for the rides that bear the Mangels plaque. Thank you. That was very nice to see. My son was happy to share this article about his great great grandfather. Keep up the good work. Living down in Florida I enjoy reading about Coney Island. I will have to visit again soon. I just happened upon your site and was so pleased to read your birthday greetings to my great grandfather, W.F. Mangels. I have so many fond memories of Coney Island from my childhood, and recently enjoyed the Mermaid Parade with my husband and daughter. I’m so pleased to see Coney Island making a strong recovery, and can’t wait to come back. Sorry, Bruce, but I don’t think that we’re related. I don’t know the name of my grandfather, but I know that he was born in the 1800’s. My father, Carsten/Carl Mangels, was born in Neuenwalde, Germany (Neuenwalde is between Bremerhaven and Cuxhaven), in 1905, the youngest of 5 brothers and 2 sisters. He and my Uncle Nick came over in 1923 and settled in San Francisco with an aunt (their mother’s sister). I’ve found another William Mangels who came over in 1929, settling first in Brooklyn, New York, and then Chester, New Jersey, founding Mangels Home Made Chocolates. Does anybody know where these gentlemen came from in Germany? Are there any other Mangels from Neuenwalde or anywhere near there?